VINYL ON VINYL: VINYL + SPLASH = THE ULTIMATE SHOWDOWN ! VINYL + SPLASH = THE ULTIMATE SHOWDOWN ! 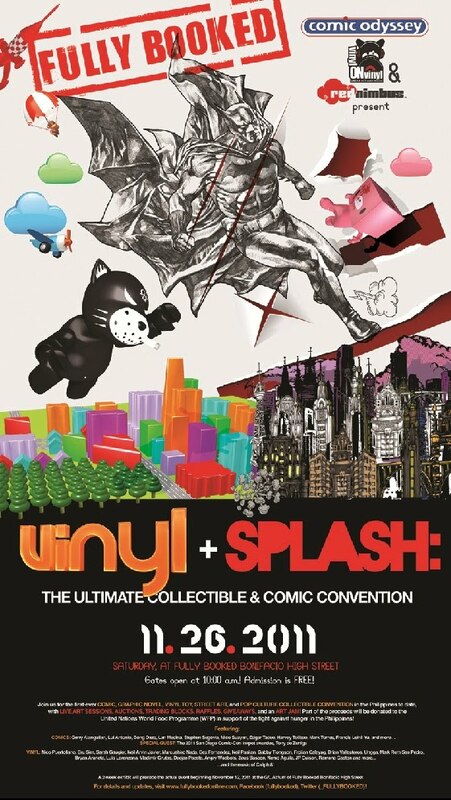 We're inviting everyone for the first Vinyl + Splash gathering featuring local artists in the comic and vinyl scene. Join us for a gathering of some of the best creative Pinoy talents within the local comic and vinyl scene. An exciting and amazing day of Live Art, Drawing sessions, Vinyl toy sales and displays and the perfect way to connect with others who share a love for toys and art. Also you'll be supporting a great cause!